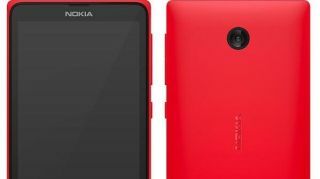 The much rumoured Nokia Normandy Android smartphone may in fact be called the Nokia X if and when it's officially unveiled. That's according to a tweet by the often reliable @evleaks, which said simply "Project Normandy = Nokia X". If the Nokia X does manage to break cover we could be looking at a 4-inch display, a Qualcomm S4 processor, 512MB of RAM, 4GB of storage and a 3MP camera according to a source which spoke to The Verge. Nokia's Normandy handset has been popping up with alarming regularity lately and its very existence is a little puzzling given the Microsoft sale. But we've seen so much of it now that there's little doubt it exists and if the Nokia X is ever going to see the light of day it will likely do so during Nokia's press event at MWC 2014 next month. Though given those specs it's unlikely to be a show stealer. Wondering what other wonders might emerge at MWC? We'll guide you through what to expect.